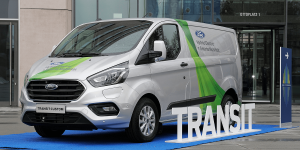 Ford will be providing ten Transit PHEVs for use by municipal enterprises based in Cologne, starting next spring. The project will analyse how hybrid vehicles can help achieve the city’s pollution targets. Similar fleet tests were undertaken by Ford in London and Valencia. The serial version of the Ford Transit PHEV van was first presented at this year’s IAA Commercial Vehicles. Its market introduction is planned for the second half of 2019, which has not stopped Ford from engaging in street testing across the continent. In Cologne, the trial is set to run for a total of twelve months. Two Transit PHEVs will be integrated into each of the fleets of the AWB garbage company, the Airport Cologne/Bonn, the port and freight transport company, the Cologne public transport company and the RheinEnergie utility. The hybrid system in the transporters is set for a fully electric range of more than 50 km, using a 1.0 litre gas engine as a range extender to charge the liquid cooled 14 kWh battery. The Ford Transit is using a serial hybrid powertrain configuration, where the wheels are solely powered by the electric motor. Another thing of particular note for the tests is that the vehicles are fitted with telematics and geofencing systems which will ensure that the vehicles will drive fully electric in previously defined environmental areas. In London, Ford and transit operator Transport for London (TfL) have been testing geofencing since the end of 2017. 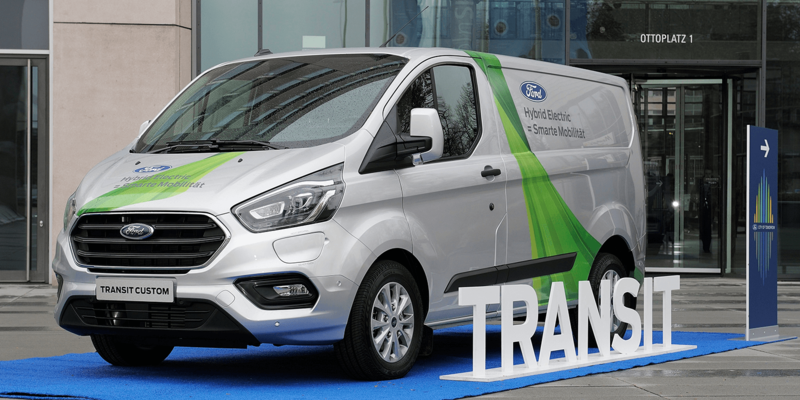 Ford has made a total of 20 part-time electric vehicles available to selected fleet operators for the 12 month model project to improve air quality. The aim in Valencia is to gather data on how a PHEV fleet can “contribute to air pollution control from an economic point of view”. In addition to Ford, the local regional government and municipal authorities are involved.